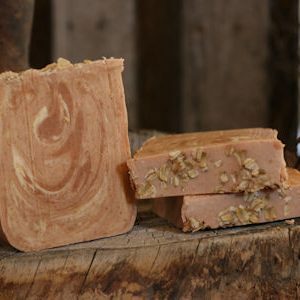 The milk for our goat milk soaps come from our own flock of spoiled goats. 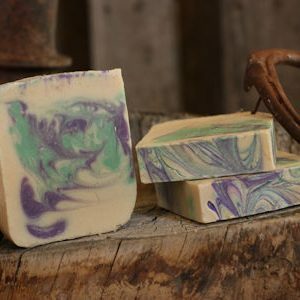 All of our soaps are 5 ounces or larger when cut. They are then dried for a minimum of 4 weeks. Each batch is individually tested to insure it processed properly. 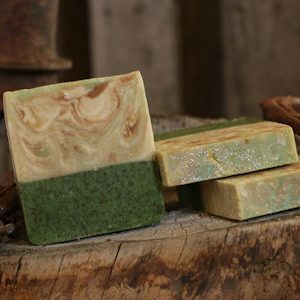 As this is a hand crafted item, no two bars will be exactly alike. 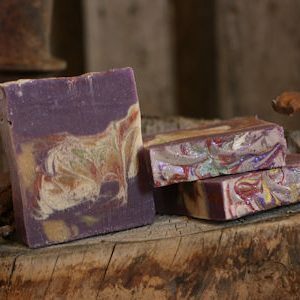 We are often told that our soaps are “too pretty to use”, and while we encourage you to do just that, if you receive a bar that you just can’t bear to use for washing, there are other ways you can enjoy it. 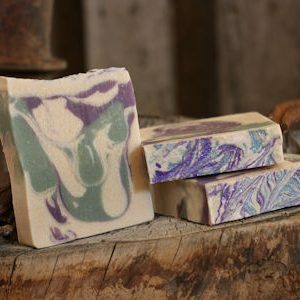 Some clients place their favorite bars in a drawer with their delicates or sweaters to lightly scent the clothing, used in a guest bath as décor, placed among the stored pillow cases, and other creative uses.